Iowa head coach Fran McCaffery responds to a question during the post-game media conference at Wisconsin. Iowa coach Fran McCaffery wasn’t willing to acknowledge Sunday night that his behavior contributed to the team’s 75-71 loss against Wisconsin at the Kohl Center. But a day later, armed with perspective and remorse, McCaffery struck a different tone on the Big Ten coaches teleconference. McCaffery earned a double technical and an ejection after he lost his composure at referees during the second half of Sunday’s game. Iowa held a 41-39 lead with 11:52 remaining when Iowa’s Gabriel Olaseni was whistled for a foul of Wisconsin forward Nigel Hayes. That play, coupled with a series of other foul calls on Iowa, set McCaffery off, and he screamed at officials at halfcourt to earn the first technical, and then bumped an official to earn the ejection. He remained on the floor and had to be restrained by assistant coaches. Badgers guard Ben Brust made the four free throw attempts from the technical fouls to give Wisconsin the lead for good. Speaking Monday morning, McCaffery said his team played "near flawless" basketball in the first half to take a 35-24 lead. But when Iowa’s lead slipped away and calls went against his team, McCaffery deliberately sought a technical to inspire his team. "The first T I think was expected," McCaffery said. "No question about that. Really wish I hadn’t gotten the second one. You’ve got to be able to assess things that happened. That’s what you ask your players to do. You’ve got to be able to do that yourself and say, ‘All right, that’s not what I wanted. I didn’t put our team in a position that benefitted them. I think you’ve got to be man enough to admit that and say I regret that. I don’t want to in any way put them in that position. "Additionally, you don’t ever want to do anything in any way that would embarrass the university. We live in a different world where you get a double T 10 years ago, you got a double T and that was it. Now, everybody looks at it and everybody wants to assess it and weigh in on it. That’s just part of the world we live in. To that end, I don’t want to ever do anything to embarrass the school. 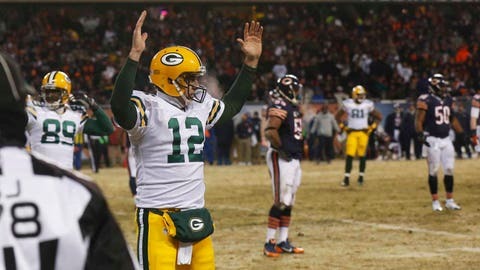 But more importantly, I don’t want to put our team in a position to where it would make it harder for them to win. So I regret the second T, no question." 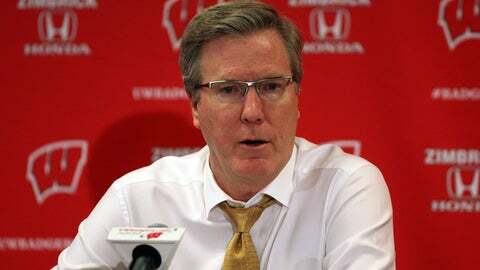 Following Sunday’s game, McCaffery succinctly replied "no" when asked if his tirade cost his team a victory and refused to discuss much of his behavior. 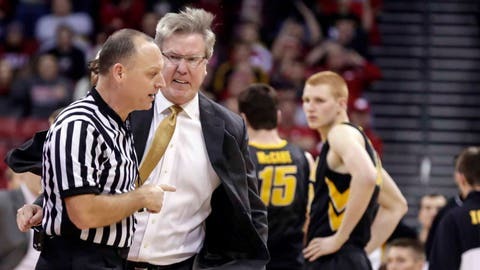 Monday, McCaffery noted the line between making his point as a coach and going overboard was difficult to define and depended on the situation. "You almost have to say, ‘OK where was everybody positioned, who’s the crew?’" he said. "In a perfect world, you say your peace, you get banged, you hope that’ll jump start things a little bit, your assistants come and get you. They pull me away and we move on. They get two free throws and we’re done with it. It was unfortunate I think in that situation because I was venting and it was bang-bang. But you’ve got to be able to walk away when the first one hits. It’s that simple. You can’t get the second one because you’re giving them two more (free throws). That’s not what you need at that point. Sometimes guys will let you go longer, some guys wont. It all depends on a lot of different things. That’s why I think you’ve got to rely on your staff a little bit and yourself. I’m readily admitting I shouldn’t have done that." Wisconsin (15-0, 2-0 Big Ten), which appeared headed for its first loss of the season, scored seven straight points following the two technical to take a 46-41 lead. Hayes converted 1 of 2 free throw attempts following Brust’s four made tries, and he then scored on a layup. Iowa cut the lead once to one point, 64-63, but Badgers forward Sam Dekker buried a 3-pointer from the right wing to help Wisconsin escape. The Badgers are off to their best start in 100 years and can surpass the program record with a victory Wednesday at home against Illinois. What’s the difference in this year’s team? "I don’t know that there’s anything other than they’re staying true to what they do," McCaffery said Monday. "They do have an experienced team. They do have five 3-point shooters that start. They have seven three point shooters in the top eight. They have eight scorers in the top eight. They don’t turn the ball over. They’re always a threat to come back. They’re always a threat to make shots late. You’re not going to beat them with them missing free throws late. "So it really is going to take a tremendous effort to get them because of all those factors. But I think they really share the ball. When you have scorers like that, that are really unselfish, they’re just going to keep scoring throughout the game and it puts incredible pressure on your defense. We played probably as good of defense as they’ve seen in the first 20 minutes. But you knew they were going to make a move, and they did." Wisconsin and Iowa will meet in the conference rematch Feb. 22 at 11 a.m. in Iowa City.